You can never imagine how professional the students can be when they conduct their presentation during the final presentation on the worldwide stage without watching their presentation. 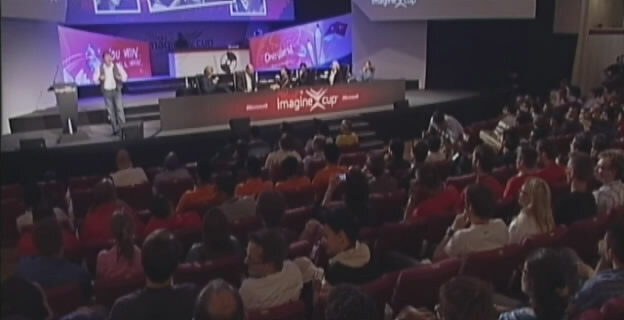 I search through YouTube to find video about the presentation of top finalist in Imagine Cup 2010, but I can’t found any. So I decided to get the resource myself, upload the video to YouTube and share with everyone. If you never saw the Imagine Cup worldwide final presentation before, you should do it now. If you are a competitor this year and never saw the presentation before, you should even do it now.